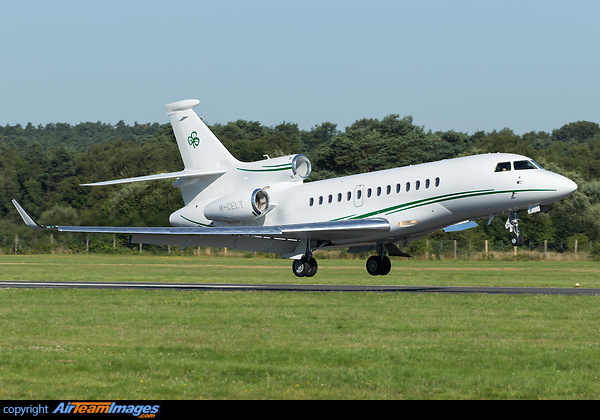 The Falcon 7X is a three engined large cabin, long range corporate aircraft. It is the first fly-by-wire business jet. It has a fully glass cockpit and is appreciably cheaper than its rivals. The performance of the 7X is particularly impressive. 3 x Pratt & Whitney Canada PW300 Series (4500 - 8000 lbf) turbofan engines. Uses PW307A engines at a thrust rating of 6400lb each.